We have been back now for over a month and the children reflected today on their start of term. 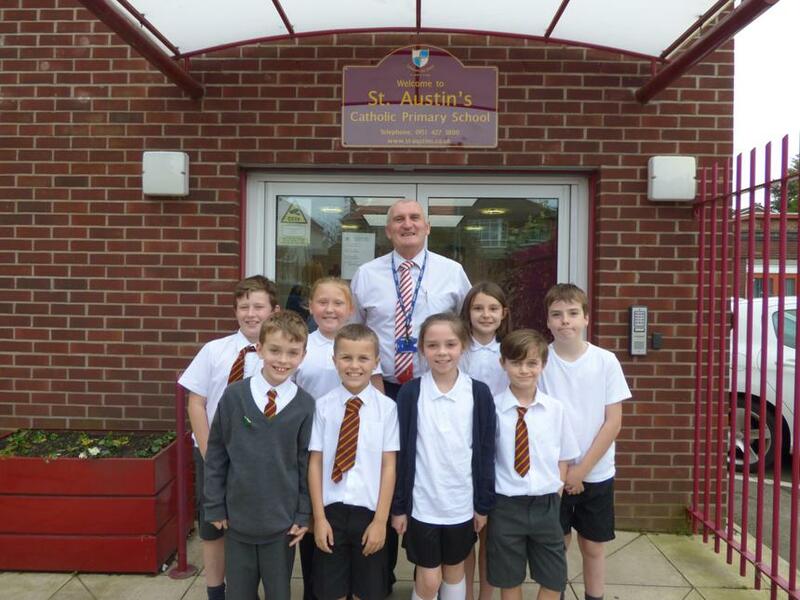 All of our pupils of the week said how much they loved coming to school and explained why. History was very popular with pupils sharing their love of learning about the second world war and also the Mayan culture. We also had some English fans who loved writing and were avid readers – Harry Potter got a mention here .We had one pupil who loved maths and was enjoying trying to work out some of the maths challenges that have started to appear on the corridors and walls of our school. Deacon Paul paid us a surprise visit before we got our photos taken.